The energy, faith and courage of those who rallied through the events and trials of the American civil rights movement is captured in this moving tribute. 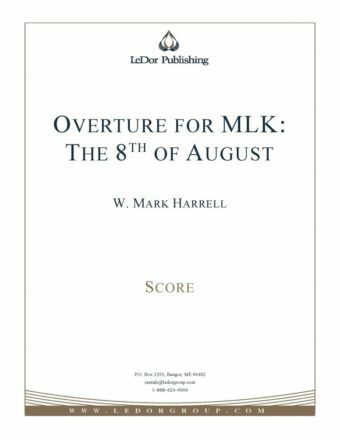 Program Notes: The Overture for MLK is a tribute to those who lived through the struggles and trials of the civil rights movement of more than fifty years ago now. The 8th of August was the day in 1863 that President Andrew Johnson freed his slaves and for many years was honored as a holiday in various parts of the southern states. The Overture seeks to capture some of the energy, faith and courage displayed by those individuals who fought the fight and ultimately triumphed during those tumultuous days. The work is dedicated to Mr. Walter Spears who was one of those courageous people and who has served as a personal inspiration to the composer over the course of many years.